Vet.com || Find the Best Deals on Pet Supplies for dogs,cats, birds, fish, small animals, and reptiles. Find pet supplies yourlooking for! Vet.com will review the top pet products and pet supply sites for dogs, cats, birds, fish, small animals, reptiles, and bring the results to you. We update our top selections so check back often. 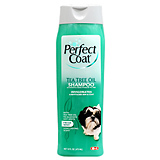 Tea Tree Oil Shampoo by Perfect Coat. Helps soothe and eliminate various skin problems. Continuously deodorizes with a pleasant fragrance. 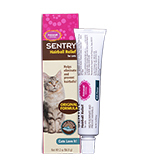 Contains malaleuca oil and rich omega 3 fatty acids for dry irritated skin. An intestinal lubricant which aids in the elimination of swallowed hair and prevention of hairballs.